Odyssey Beerwerks Brewery & Taproom is located in Arvada, CO near I-76 and Sheridan Blvd. Odyssey is known as a happening brewery with live music, great food trucks, and a fun atmosphere. The brewery is in close proximity to the Clear Creek Bike Trail, and has great access to a few of the major metro area highways. Whether on a bike or in a car, Odyssey is a popular place to stop in for a fresh Colorado craft beer. 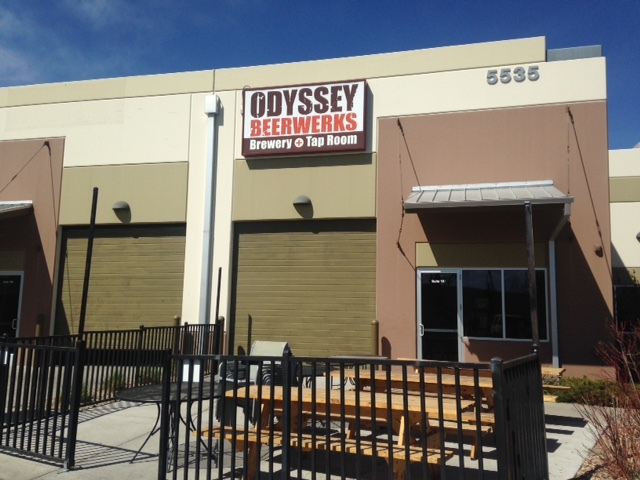 Odyssey Beerwerks opened for business on May 25, 2013. Owners, and Colorado Natives, Chris Hill and Josh Van Riper are longtime friends and homebrewing partners that had a dream of opening their own brewery someday. Chris and Josh had extensive homebrewing experience dating back to the mid-90s. Chris grew up in Fort Collins, a town widely known for it’s amazing craft beer. Josh grew up in Montrose, on the Western Slope of Colorado. The two met in Fort Collins, and developed a friendship that ultimately led to the creation of Odyssey Beerwerks. Over the years they honed their craft with help of a friend that brewed for, and helped open some of the CB & Potts locations in Colorado. Initially, Chris and Josh wanted to open up a brewery in Fort Collins. After doing some research they decided it was best to look elsewhere – due to the high density of breweries in Fort Collins. Since Fort Collins was out, they began looking on the north side of the Denver metro area, and landed in a newly built industrial park on the eastern edge of Arvada. Odyssey Beerwerks is a great example of a team coming together with different skills to create an excellent product. 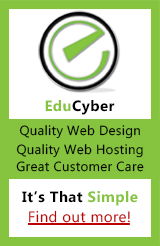 Chris brought experience in marketing, while Josh brought engineering experience. Together the two designed, and built an impressive brewing setup at Odyssey. Josh was actually responsible for much of the wiring and setup of the controls for the fermenters. It should be noted that the wives of both owners have also played an important role in running the brewery, helping with bookkeeping and scheduling. While many new breweries simply open up with the intent of selling beer inside their facility, some like Odyssey open with bigger plans in mind. When Chris and Josh opened Odyssey Beerwerks, their business plan included distributing their beer to local liquor stores and taprooms. Odyssey’s brewery includes a canning line, a 15 barrel brewhouse, four 15-barrel fermenters, and two 30-barrel fermenters. The brewery has the capacity to have 120 barrels fermenting at one time. Josh has done a great deal of testing and tweaking the brewing equipment in order to maximize production, and ultimately distribution of Odyssey Beerwerks’ beer. Beer List: Odyssey has a beer locator that can be viewed here. I’ve seen Odyssey’s beer in many local liquor stores around the Denver area, so it should not be difficult to find their beer somewhere close to home. While they will try many different styles of beer, Odyssey tends to stick mostly with ales. They do some season lagers – it just depends on the time of year for exactly which options will be available. You will always find a diverse menu at Odyssey, thanks to Josh Van Riper’s experience traveling, and learning about different beer styles along the way. Psycho Penguin Vanilla Porter: ABV 5.4%, IBUs 36 – Dark, silky maltiness will slide down the throat but not before the nose and tongue have picked up the smooth and smoky flavor of Mexican vanilla beans lurking within. It’s an easy drinker and hard to put down. Heliocentric Hefeweizen: ABV 5.5%, IBUs 12 – Very good, light, crisp, banana hints from the Belgian yeast strain. This was one of my two favorite beers at Odyssey. Ghost Drifter Pale Ale: ABV 5.8%, IBUs 36 – Smooth flavor, hop forward, northwestern hops.This is a classic American Pale Ale, and was my favorite beer at Odyssey! Clan Warrior Scotch Ale: ABV 8.7%, IBUs 29 – A rich and sweet, and malty ale that showcases a blend of specialty malts. There is also a nice smokiness to this awesome scotch ale. Eye of Ra Belgian Strong Ale: ABV 8.9%, IBUs 39 – Malty, yet not strong tasting for a higher alcohol volume beer, very smooth. Has a deep, crisp, and seductive fruit and spice notes. The Eye of Ra is worthy of devotion. Seasonals: Rum Barrel Aged Olde Ale, *Hop Shot IPA, Lazy Gopher Dry Stout, Dubbel Down Abbey Ale,, Belgian Black Ale (always have stout and IPA), Seething Stout, Palm Tree Caribbean Pilsner Lager (hop note with peppery note). Odyssey just came out with 12-pack mix packs, which you can purchased at the brewery, or in select stores. If you would prefer to purchase a growler, you can pick up a 64oz glass growler for $7. The core beers are $14 to fill, seasonals are more expensive depending on the style of beer. For the outdoorsy types, you can purchase 64 oz Hydro Flask Growlers, which will keep beer cold for 24 hours! I had a good time discussing Colorado craft beer with Chris Hill at Odyssey Beerwerks. I would recommend a trip to the brewery for anyone that enjoys a fresh, locally brewed beer. You will find a wide variety of beer styles so everyone in a group should be able to find one that fits their taste. Bring a bike and check out the Clear Creek Bike trail, or simply stop in and hang out on the patio, you’ll enjoy visiting Odyssey Beerwerks!